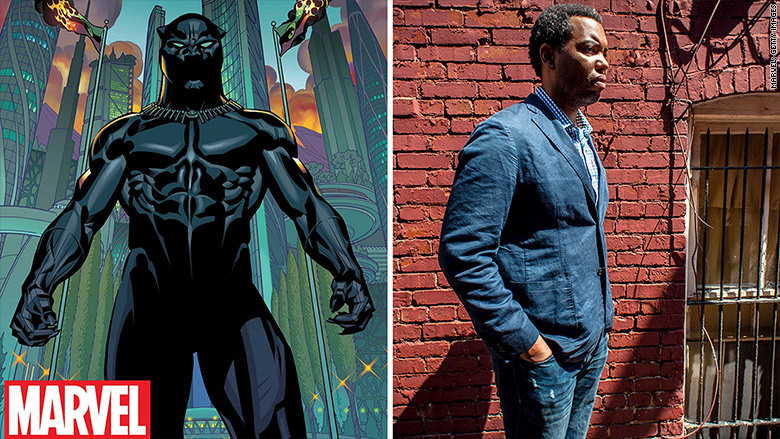 The author of Marvel's "Black Panther" comic book series has been unmasked: It's Ta-Nehisi Coates. Coates, until now, is better known for writing incisive articles for The Atlantic magazine that dissect racism and identity in America, and as the author of the best selling book, "Between The World and Me." But Coates, a huge Marvel fan, told the New York Times which broke the story, becoming a comic book author is a childhood dream come true. Instead of culturally charged social issues, Coates will be chronicling the saga of T'Challa, "heir to the centuries-old ruling dynasty of the African kingdom Wakanda, and ritual leader of its Panther Clan," according to Marvel Universe Wiki. Hyped for @tanehisicoates' Between Wakanda and Me. Black Panther going to make Peter Parker cry explaining systematic racism to him. But bringing diverse characters and -- equally importantly -- diverse authors to the comic book industry is no joking matter. As a journalist, Coates has worked to highlight inequalities in American society. In recent years Marvel has tried to diversify its bench of characters by introducing Ms. Marvel, the company's first Muslim character, Miles Morales, a new Spider-Man whose parents are African American and Puerto Rican and Sam Wilson, a new black Captain America. Marvel declined to comment to CNNMoney on the Black Panther series. Joseph P. Illidge, who writes about diversity in comic and entertainment for the Website "Comic Book Resources" said black comic book writers were historically kept from writing for premiere comic book characters. "No one was going to a talented black writer and saying 'Do you want to write Iron Man?' Do you want to write Wonder Woman?'" Illidge said. "They weren't asked that." Black writers were also presumed to "come with agendas to use the stories and the characters as a forum for black issues," Illidge said. 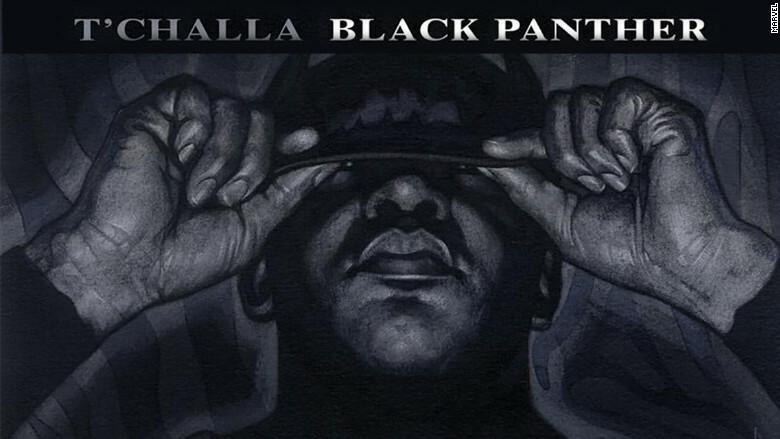 Coates' appointment to pen the "Black Panther" Marvel comic shows that he is one of the few black writers to transcend those issues, Illidge said. "He's proven that he can sell," Illidge said of Coates. Coates star has steadily risen over the past few years and he has earned a reputation as one of the foremost voices in American racial commentary and historical critique. Particularly, he brought attention to the issue of reparations and racial inequalities in housing with his article in Atlantic called "The Case for Reparations." Illidge said it's Coates' capacity to take thorny parts of American history and the present day reality of being black in America and make them part of a national conversation that made Coates an ideal candidate to write the comic. "Black Panther" is going to be in the upcoming movie "Captain America: Civil War." Chadwick Boseman will be playing him. "His audience is not just black, it's everyone." Illidge said. "He has the capacity to write in a way where everyone will embrace it."